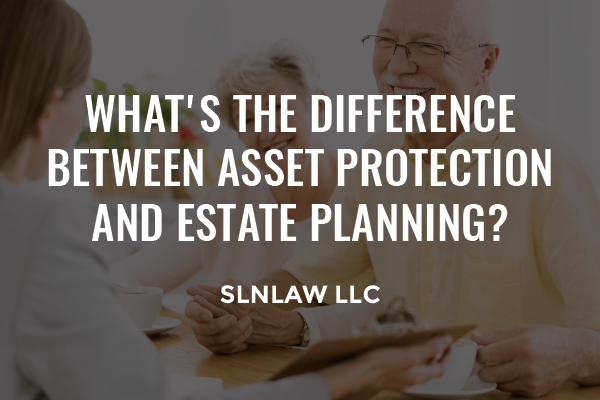 What's the Difference Between Asset Protection and Estate Planning? Asset protection is fairly self-explanatory. It aims to find ways to proactively protect assets. Financial planning and estate planning result in asset protection. Once you have integrated your financial goals with your estate planning goals and positioned or repositioned your assets to be protected from creditors, you will have a comprehensive asset protection plan in place. Estate planning determines how assets are cared for and protected when an individual can no they pass away. Here’s everything you need to know about how estate planning is a vital component of asset protection. Estate planning covers a range of topics relating to plans for the end of a person’s life and after. The most commonly known part of an estate plan is a person’s last will and testament. This document makes your final wishes clear about how you want property distributed or managed after death, ensures any remaining debts are properly cleared, can be used to create a trust, names who will care for minor children, and more. However, estate planning is much more than just a will, and by using the full spectrum of estate planning tools available to you, you can ensure that your loved ones are well cared for and your property is well managed and protected from depletion by unnecessary fees and costs. It’s important to recognize that estate planning isn’t designed solely for after someone is deceased. A well-drafted estate plan provides for a person’s inability to manage their affairs during their life, whether temporarily or more long-term. This is accomplished by including a power of attorney, giving a chosen person- probably a loved one or intimate friend – the right to act, as your Attorney in Fact, on your behalf when it comes to financial decisions. A power of attorney protects you from having a court-appointed conservator, reduces administrative fees, unnecessary delay, and needless litigation. Your Power of Attorney can be as specific or broad as the you want. For example: The role can begin immediately or designate a specific time or period, depending on the individual’s desire. A second necessary document in a well-drafted estate plan is a Health Care Proxy. A Health Care Proxy names the person of your choosing, who will make health care decisions on your behalf, should you be unable to do so. Having a document that clearly designates a Health Care Agent, prevents unnecessary delays in your care, ensures that your health care wishes are followed, and removes the requirement of a court-appointed guardian. Revocable Trusts (for asset management during your lifetime, avoidance of probate, reduction of taxes). Charitable Trusts (gives all or a portion of its assets to charity, allowing you to reduce your estate’s tax liability). Trusts provide detailed asset management during your life and after. They can protect assets from being dissipated by careless beneficiaries, lost through divorce, and ensure that your assets that you grew over your lifetime, benefit your children and even their children for years to come. Asset protection is not just about protecting your assets from creditors or relegated only to the wealthy. Asset protection, in its simplest form, is any method used to protect your hard-earned wealth from loss and dissipation due to life’s many uncertainties. Asset protection is for everyone. So why is asset protection so important? After all, what belongs to you will always belong to you, right? Well, in some cases, it’s a little more complicated than that. Asset protection strategies help keep assets from being absorbed or taken by others by protecting yourself and loved ones from creditors or financial complications due to divorce. Asset protection plans can help protect homes, business interests, funds and more. It’s a way to give stability in an often-unstable world. With a solid estate plan in place, you and your family will be able to handle the unexpected with ease, decorum, in a timely manner, and according to your wishes. For example, in the unfortunate case a divorce happens to one of your children down the road, a well-drafted trust can prevent your child’s inheritance from being given to an unfaithful former spouse. Or, if you own your own business and suddenly fall ill, with the right documents, your business can be properly managed and protected in your absence while you recover. Protect your property now – and later – with asset protection and estate planning strategies. 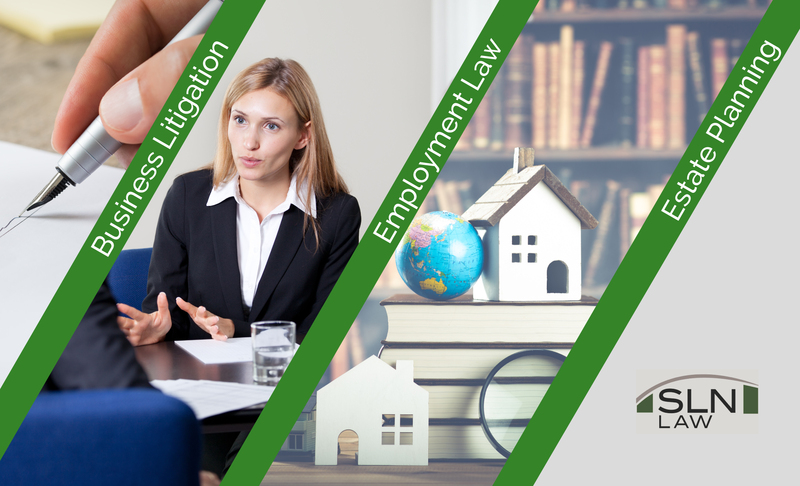 Contact the experts at SLN Law today to get started! Next PostNext How Do Annual Family Gifts Reduce Estate Taxes?